The definitive print version of Italian Wine Unplugged Grape by Grape is now available to pre-order through multiple channels in Europe. Readers can pre-order their copy on Amazon.it and on the Positive Press website. 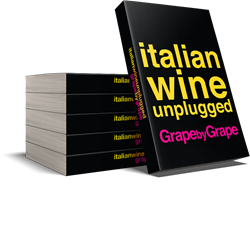 The definitive paperback version of the reference book Italian Wine Unplugged Grape by Grape is in print and can be pre-ordered now on multiple channels in Europe. Readers can avail of this pre-order option on Amazon.it and on the Positive Press website. The official publishing date for the book is November 20th, 2017. Customers interested in corporate and group orders in Europe should contact the publisher at sales_eu@italianwineunplugged.com. The retail price for Italy and Europe is 20 Euro. The book will also be availble to purchase in the United States of America starting from early December 2017 and hence on the time for the Christmas holidays. Group pre-orders for the North-American market place can be placed by emailing sales@italianwineunplugged.com. In the States, the book retail price will be 24 Dollars.